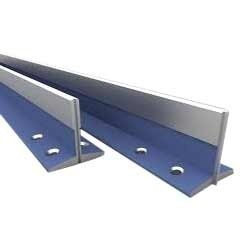 Our range of products include guide rail. Our organization is engaged in the business of offering exclusive range of Guide Rail. The array helps in directing the products or object of the elevator in a channel. It is very strong in construction and is made from high quality material making it resistant to corrosion. Guide Rail is designed by following industry norms and standards. The array is easy to maintain. Looking for Guide Rail ?